Audi vehicles are known for their powerful driving experience, excellent performance, and stylish design. If you own an Audi, you understand the trouble of finding an auto repair shop that you can trust to accurately handle your luxury vehicle. At A-Plus Automotive in Dinuba, CA, we are the top choice for Audi repairs and services. Our mechanics are ASE certified and are experienced working with all makes and models of Audi. We can handle any repair or service your vehicle may need, from major repairs to factory recommended services. 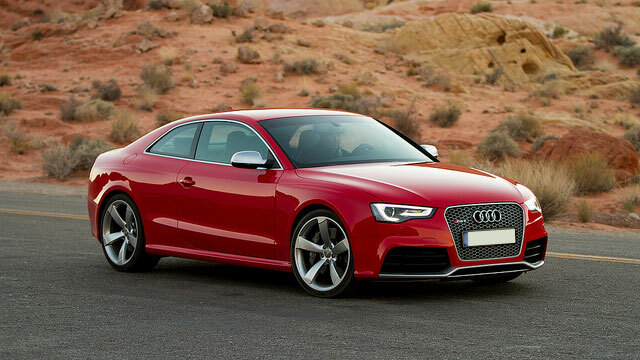 Whether you own a A4, S3, TT Coupe, Q5, or A6, our professionals can help. Luxury vehicles require special knowledge and training to accurately repair and service. At our Dinuba Audi repair shop, our experts are constantly educated on the newest Audi vehicles and technology to provide our customers with the highest quality of service. We make sure that we handle your vehicle with care and our goal is to boost your vehicle’s overall performance every time that you visit our shop. We understand the common problems that can occur with Audi vehicles, including spark plug replacement, catalytic converter failure, and oil leaks. If you’re experiencing an issue with your Audi or the check engine light has turned on, don’t hesitate to give our friendly staff a call to make an appointment as soon as possible. Our experts will perform a complete inspection of your vehicle to determine the exact cause of the issue. Our shop has the latest, state-of-the-art computer diagnostic tools which allow us to accurately diagnose your vehicle the first time around. An important part of owning a luxury vehicle is staying current with factory recommended services and repairs. General maintenance will ensure that your vehicle is kept in top working condition at all times to protect its overall integrity and performance. Staying on top of maintenance will also help you save money in the long run on repair costs. Our shop provides you with a comprehensive maintenance plan and helps to remind you of any upcoming services to keep you on track with your vehicle’s care.